This broker is the first to bring an exciting new feature to the market: live video chat. This will allow you to see and speak to a member of the customer support team at any time of the day or night. They have also opted to design and build their own unique in-house trading platform. The main reason behind this decision was to ensure they could offer the best possible service in terms of performance, quality and reliability. 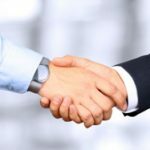 This new approach appears to be working as they are already gaining popularity and building a good customer following. All new Live video chat feature available 24/7 and unique to this broker! The site can be used for manual trades or aligned with automated trading software to ensure you get the most from the software. 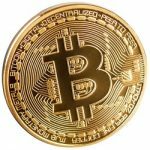 You can trade in all the usual options; there is an excellent range of stocks and the most popular currencies as well as the possibility to trade on the commodities market and with indices. 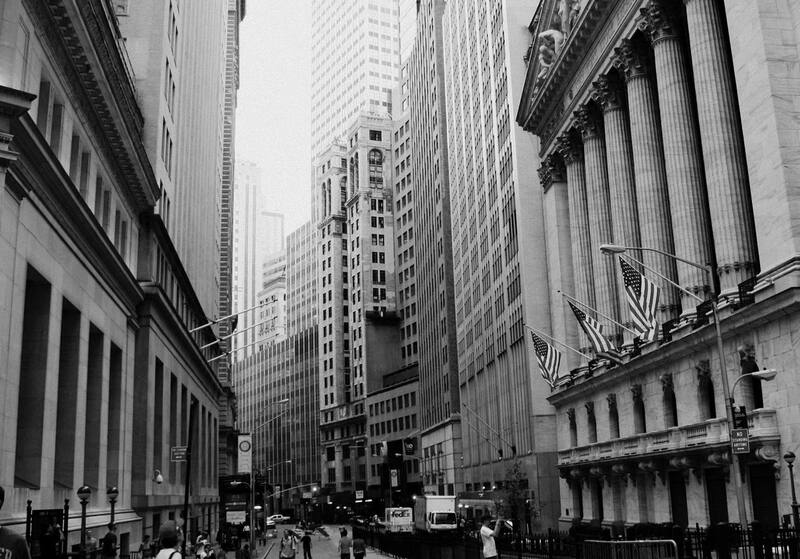 Trades vary in length from the shortest at thirty or sixty seconds right through to one year; you choose the trade depending upon the results you hope to get; one year is a long time to commit to a trade! Opening an account requires the completion of a simple form and the deposit of your first funds; the minimum which can be deposited is $250 to open an account. Silver – This requires a higher deposit of at least $1,000 and gives a fifty percent welcome bonus. You can also benefit from three trades which are known as risk-free; your funds will be returned if you do not make a return on your investment. Gold – The top level account requires a $3,000 deposit which is matched by Binarymate. It also gives you a dedicated manager and the option to choose between risk-free trades or an additional $250 of funds. Funds can be deposited in a variety of currencies, including GBP, EUR, USD and RUB. The withdrawal service is just one hour and is currently the fastest in the industry. Funds can be deposited via any of the main bank card schemes, MasterCard and Visa are the most popular although AMEX is also accepted. You may prefer to transfer via wire transfer or even through one of the digital options such as Webmoney or Neteller. This is exceptional! The live video chat brings a whole new dimension to the support you receive. You can choose to have a public live chat or a private one, depending on which you prefer and the secrecy of your intended transactions. The support staff are available all day, every day and are keen to help you resolve any issues. They all have a good understanding of binary options and can navigate you through the options or around the website if needed. Binarymate does offer a fast response via email if you prefer to contact them this way. Their dedicated email address is [email protected] Some questions can be answered by simply visiting their website and looking at the FAQ page. You can choose from numerous types of accounts and minimize your risks by trading with the minimum of $1 trades and up to $10,000 per trade. 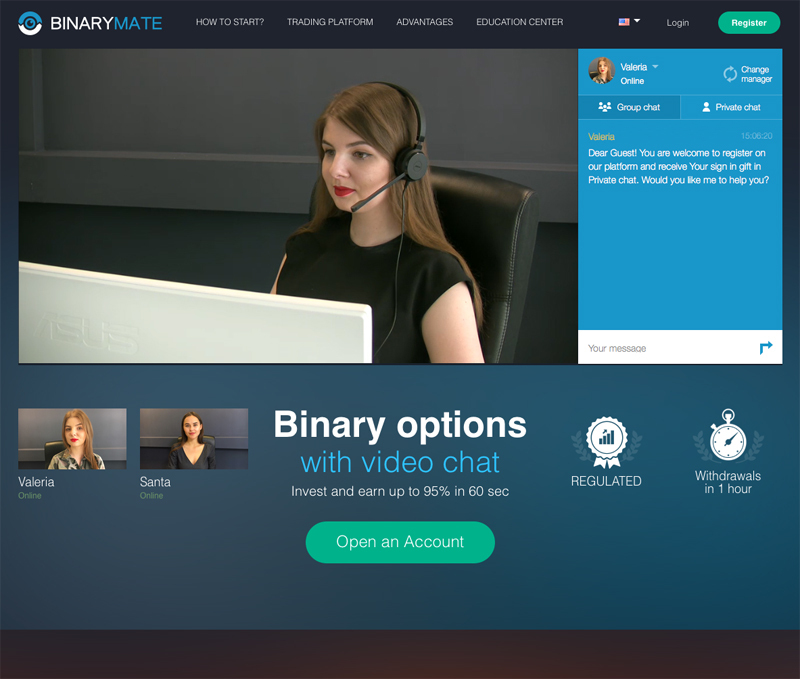 7 Binary Options review: Binarymate: 5 stars. Binary Mate seems like a good broker, Ill be consdiering it for trading in the future! Is this binarymate licensed? Is it still good and trustful?